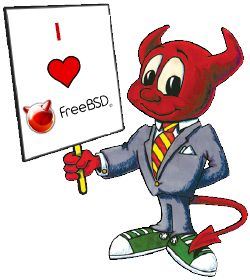 June 19 is FreeBSD Day! June 19, 1993 was the day the official name for FreeBSD was agreed upon. See part of the email thread here. Slides and materials for hosting a FreeBSD installfest can be found here. From TrueOS to FreeBSD on Virtual Box to Installing Ports, you can find a number of how-tos here. Read more about the history of FreeBSD here. Check out the list of companies using and products based on FreeBSD. Helping to promote the day by printing and distributing the poster. Consider donating to the Foundation to help us continue our support of the Project. Check out and share BSDNow’s 6 hour retrospective of interviews from the FreeBSD community including an interview with Dr. Kirk McKusick from BSDCan 2018. We look forward to commemorating the 25th anniversary of our favorite open source operating system on June 19, and we hope you’ll join us!